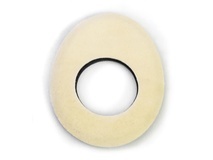 Product #499 | SKU Z-FIND-PRO2 | 0.0 (no ratings yet) Thanks for your rating! 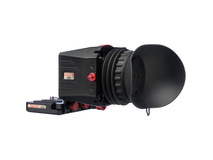 Zacuto's Z-Finder Pro 2.5x optical viewfinder is a necessary tool for shooting sharp, stable video on DSLR cameras like the Canon 5D MkII, 7D, Nikon D90, D300s and others. Whether shooting handheld or on a tripod, the Z-Finder Pro turns your camera's 3" LCD screen into a clear, easy-to-focus viewfinder that lets you see your image in magnified detail even under the brightest sunlight. 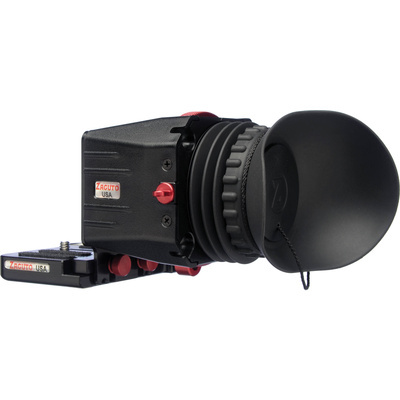 Just as crucially, the Z-Finder Pro provides an extra degree of handling comfort and a crucial point of contact--between camera and eye--that adds stability to any handheld video. The Pro 2.5x version offers an adjustable dioptre that enlarges the LCD image by a factor of 2.5, so you can see every detail for pinpoint focus. The dioptre's extended range of -4.75 and up makes it especially useful for those who are nearsighted. The Z-Finder attaches to your camera via the included Gorilla Baseplate and mounting frame, which mount to the bottom of your camera using a standard 1/4"-20 screw. A non-stick rubber backing ensures a tight fit and prevents scratching of the LCD screen, so that the entire Z-Finder snaps off easily when not in use. Once detached, the unit can hang conveniently around your neck from the included lanyard. 1 Note:The Z-finder is a magnifier and as such will magnify the sun and could damage the LCD screen if the sun is allowed to shine directly through the Z-finder lens. This is not a defect but a physical property. Caution should be taken to avoid sun magnification.